A stiff sole, neutral profile, and wide fit make the Boreal Joker highly comfortable, ideal for beginner's feet or all day climbing. 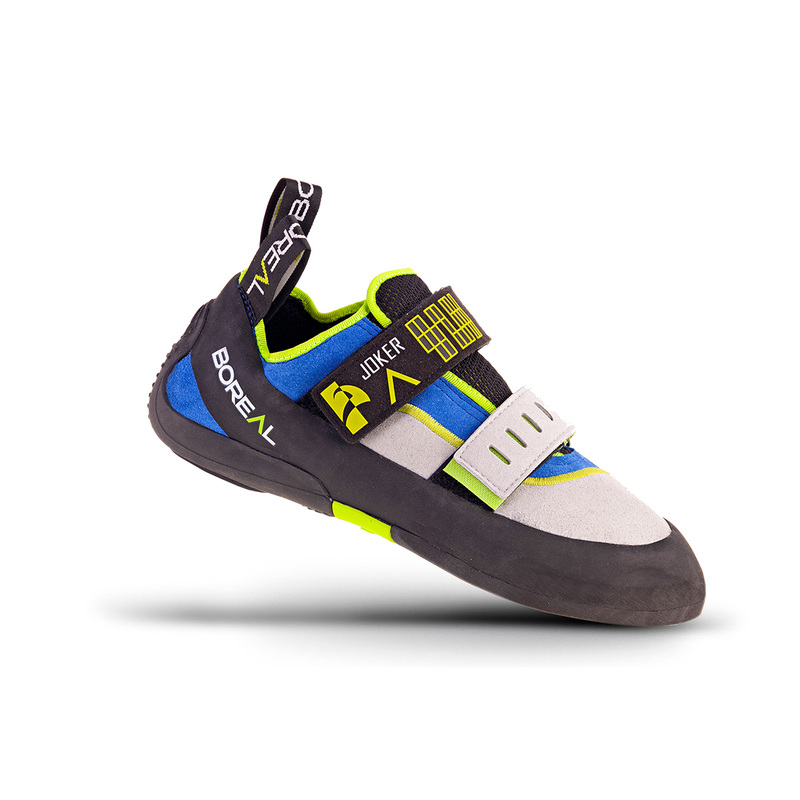 This is Boreal's best-selling shoe and a highly popular shoe amongst beginners seeking their first proper climbing shoe. The medium-asymmetrical last still retains a level of precision on small holds without being too uncomfortable. Unique features include an Integrated Rand System, which is similar to La Sportiva's P3 rand, that prevents the sole from deforming and losing its comfort and stiffness. The Cushioned Heel System puts EVA padding in the heel to protect the foot when jumping down from boulders and general walking between problems. This shoe is lined with a leather and microfibre upper, so expect there to be a little bit of bedding in but not much stretch. For a lower volume, try the Joker Women. Quattro rubber is a specific formulation developed by Boreal. It was designed to provide consistent high performance over a wide temperature range, and to offer a long life span. This highly versatile rubber is ideal for all-round rock shoes, with a perfect blend of high friction and durability.